Students who desire to get into the business sector should earn Entrepreneurship Degrees. These degree programs prepare students to meet various challenges related to the business world. Students can either find a job in the business industry or set up their own business once they earn an Entrepreneurship Degree. There are many regular and online schools that offer different Entrepreneurship Degree programs. To become a successful entrepreneur you’ll need a helping hand from industry experts. They benefit from all opportunities presented to them and as decision makers decide what, how, and how much of a good or service should be produced. An entrepreneurship degree is the key to understanding elements of how to be a successful entrepreneur. Students can set up their own business other than finding several lucrative job opportunities in the business world. Entrepreneurship Degrees online allow students to study from any location. These programs are highly flexible and enable students to study at their own timings and at their own pace. Also, online Entrepreneurship Degree programs are more cost effective than the regular programs in this discipline. How long does it take to complete an entrepreneurship degree? Undergraduate programs in entrepreneurship can take two to four years to complete. An Associate Degree in Entrepreneurship can typically be completed in two years, whereas a bachelor’s degree can take up to four years to complete. You can also go for advance degree options such as a master’s degree in a business-related subject with coursework in entrepreneurship. This would take two years to complete. What are the requirements to complete an entrepreneurship degree? Once you enroll in an entrepreneurship program, you will be completing courses such as low-risk startups, entrepreneurial finance, entrepreneurial consulting, social entrepreneurship and so on. The course structure and content would vary according to your chosen program and degree level. How much can I make with an entrepreneurship degree? A degree in entrepreneurship can lead to a variety of careers. For instance, you can become a financial analyst, top executive or operations manager for an entrepreneurial firm. According to the US Bureau of Labor Statistics, Financial Analysts made a median income of $84,300 per year in 2017. Why do we need extensive Market Analysis in the MBA degree program in Entrepreneurship? Which schools offer entrepreneurship degrees in US? Q:What are the career options after having an Entrepreneurship degree ? Q:Why do we need extensive Market Analysis in the MBA degree program in Entrepreneurship? A:The MBA degree program in Entrepreneurship requires students to extensively study the market and conduct thorough market analysis because the modern business revolves around commercialism. The more you market your product or business, the better. Hence, there is a strong need for comprehensive market analysis and many individuals with the MBA degree in Entrepreneurship also work as Executive Market Analysts. Q:What are the Product Representation jobs offered after completing Bachelor degree programs in Entrepreneurship? A:The Bachelor degree programs in Entrepreneurship can get you the interesting Product Representation jobs. These jobs relate to hiring product ambassadors, such as famous stars and sports players or politicians. It is the highest level of marketing and requires creative genius and thorough analysis of the market to see if it would work. Q:Which schools offer entrepreneurship degrees in US? A:Central Pennsylvania College, University of Texas, Stanford University, Carnegie Mellon University, University of Florida and North Carolina State University offer entrepreneurship degree programs in United States. Q:What are the career options for graduates in Entrepreneurship Degree programs? A:Upon graduation from an accredited college, you can expect to work at managerial level positions such as Marketing Managers and Corporate Managers. Q:Are there any scholarships available for the degree in entrepreneurship? A:Numerous universities and schools offer the degree in entrepreneurship with financial aid, such as scholarships and grants. Some even offer the work study plans. However, if you wish to apply for the scholarships it is preferable that you apply well before the deadline, to maximize your chances for approval. Q:How much time does it take to complete the bachelor degree entrepreneurship? A:The regular bachelor's degree in entrepreneurship may take 3-4 years for completion,however, students can also pursue these degrees online through the universities listed on our website. The online degrees can be completed much earlier or later than the actual time as these are "self-paced", students are allowed to schedule their own classes and complete these degrees at their desired speed. Q:What degree do I need to have a good career in Entrepreneurship? 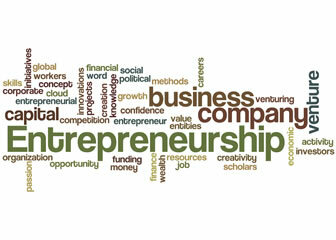 A:Entrepreneurship is a lucrative career specialization opening up a number of opportunities for degree holders. Students can pursue the Bachelor of Entrepreneurship followed by the Master in Entrepreneurial Leadership. The master's program places students well on the job market offering positions like product developer, market analyst, marketing manager, corporate manager, and business consultant. Q:As I read on how to get an Entrepreneurship degree, there was mention of the course on Business Analysis. What are the contents of this course? A:It is common to get to read about the course on Business Analysis while reading on How To Get An Entrepreneurship Degree. This course is worth2 credits in total and is designed to provide students with ample understanding of the business problems as well as the concepts of algebra and how they are used to improve the skills of critical thinking in the analysis of business issues. Q:What are the benefits of pursuing entrepreneurship degree online? A:There are a number of advantages for students looking to pursue an entrepreneurship degree online. Online educational programs allow students to study at their own pace and convenience. Students with the help of these programs can also save money on travel and accommodation. The curriculum for online programs is extensive with every topic discussed in detail. Prospective students interested in online education are advised to search our website for more information. Q:What is involved with a social entrepreneurship degree? A:Social entrepreneurship can best be described as the use of entrepreneurial skills to help alleviate a social problem. Such problems can include poverty, education, healthcare, social welfare issues. Therefore such degrees center around the teaching of entrepreneurial skills and then how to apply them to the above situations. Many students find the program rewarding. Q:Can you tell me should I go for a bachelor's or a master's business entrepreneurship degree? A:The answer to your question depends on your current level of education. If you are a high school you can look for a bachelor's degree or even an associate degree. A bachelor's degree takes four years to complete while an associate degree has duration of two years. Once you are done with you undergraduate degree you can look for a master's. Q:What will I learn in an entrepreneur degree online? A:An entrepreneurship degree program will help you understand the fundamental concepts in this field. You will develop a wide range of innovative skills and leadership skills that can be applied to organizations. Courses such as research methodologies and leadership are included in the curriculum of entrepreneurship programs. These programs can be earned at bachelor level and master's level. Q:Are degrees in entrepreneurship available online? A:Yes, degrees in entrepreneurship are offered online by various online business schools. Since distant education is becoming more popular due to convenience and low costs, more and more students are opting for degrees online. Entrepreneurship degrees are available at all levels of post-secondary education, mostly including bachelors, associates, and asters degree programs. Q:How long will it take me to complete a masters entrepreneur degree? A:A masters degree in entrepreneurship is designed to prepare students for leadership business roles. With this degree, one can set up his or her own business, or work at an executive position in an organization. The program takes around 2 years to complete. In accelerated programs, a master's degree can be competed in less than 2 years. Q:How can a business entrepreneurship degree online be more cost effective than on campus programs? A:Business entrepreneurship degree online can be a lot more cost effective because students do not incur many costs that are normally associated with on campus programs. Online programs do not require any travelling or hostel accommodation costs. Textbooks costs are also less, as most of the material is available online. Besides, the online setup is inherently cheaper leading to less tuition cost. Q:What are different places I can work as after online entrepreneure degrees? A:With an online entrepreneurship degree, students can find work in a variety of different settings such as advertising, career counseling, marketing management, product development, traveling agencies and so on. Students have the option of pursuing different careers within the realm of business industry and can also set up their own businesses with an entrepreneurship degree. Q:How is an entrepreneurship degree online different from the one offered on campus? A:The course material covered by an online degree program may be the same as that covered by programs on campus. However, the mode of teaching in online programs is different. It involves online lecturing and video conferencing instead of traditional class room lecturing. Online programs also offer additional benefits, such as low cost and flexible scheduling. Q:What kind of online degree in entrepreneurship is available? A:Many accredited institutions offer a variety of online degrees in entrepreneurship which students can benefit from . Examples of popular degree programs include associate's degree programs in entrepreneurship, which can usually be completed in two years; bachelor's degrees programs in entrepreneurship, which can be completed in four years and MBA programs in entrepreneurship. Q:I am interested in pursuing entrepreneur degrees business online. How can I select the best degree? A:If you are looking for quality education, it is preferable that you look for online programs that accredited by authentic regional or nation agencies. Also consider factors such as curriculum and concentration, qualifications of instructors, tuition costs, technological support, and overall repute of the online school. You may gain valuable feedback from students and alumni as well. Q:I am looking for entrepreneurship online degree Texas. Will it be cost effective? A:Entrepreneurship online degree Texas is likely to be much more cost effective than the campus based programs offered in entrepreneurship. Students normally have to pay lesser tuition costs in online programs, due to their cost efficient setup. Besides, travelling, fuel costs, and textbook expenses are also not required in online education. Q:should I consider an online school for business entrepreneurship? A:Yes, most definitely. Online accredited institutions offer high quality education and you get a variety of benefits. You have the option of studying at your own ease and convenience, whenever you want and wherever you want. With online education, you get to study from all the latest type of multimedia available such as podcasts, webcasts, online lectures, presentations and so on. Online schools also tend to be more cost effective than regular schools. Q:What are the benefits of doing online bachelors degree in entrepreneurship? A:With online bachelor's degree in entrepreneurship, you now have the option of studying at your own ease and convenience, whenever you want and wherever you want. With online education, you get to study from all the latest type of multimedia available such as webcasts, online lectures, presentations and so on. Not only that, you also get to interact with a diverse student body, all from the comfort of your own home or work place. Q:I am looking for online schools for business entrepreneurship. Can you tell me the benefits of being an entrepreneur? A:Entrepreneurs enjoy a number of benefits. They enjoy a lot of work and time flexibility. They do not just follow instructions but implement their own ideas as well. In other words, they can be their own boss. Additionally, they gain a lot of knowledge and experience, as they have to look after various areas of business and make important decisions. Q:I am looking for best online schools for entrepreneurship degree. Can you guide me about them? A:If you are looking for online schools for an entrepreneurship degree, it is good that you keep some important factors in mind. Make sure you select an accredited program. In addition, consider factors such as cost, qualifications of faculty, technology support, concentrations, and availability of scholarships. It is also preferable that you take feedback from students and alumni. Q:After doing degree from online school for business management and entrepreneurship, what career do I do? A:With a degree in business management and entrepreneurship, you can pursue a number of viable career options. You can work in advertising, career counseling, product representation, marketing management as well as in the travel and hospitality industry. Moreover, you can start up your business too after having studied how to run a business. Q:Why should I begin with an online degree Entrepreneurship? A:There are a number of reasons to begin with an online degree entrepreneurship. This program prepares students to meet many challenges that they are likely to face in the business world. Students can go for a job or set up their own business after the degree. Online entrepreneurship degree programs are quite convenient and cost effective, as students learn at their own pace, and do not have to pay for extra costs normally associated with on campus programs. Q:What are the advantages of enrolling in an associate degree business entrepreneurship online? A:Now students can fulfill their academic goal of earning an entrepreneurship degree online. Many institutes have started offering degree programs in this area. You don't have to worry about attending campus based classes and can easily study from your home. The coursework is usually self-paced, which means you can study according to your understanding and convenience. Q:Whats is online entrepreneurship degree? A:An online entrepreneurship degree enables busy individuals to gain a degree which would enable them to enter the business sector. Online degrees in entrepreneurship are offered as associate, bachelors and master's degrees. All these programs are designed to equip students with in-depth knowledge of the field, and practical skills needed to become entrepreneurs. Students can study on their own schedule and benefit from the flexibility and freedom that online learning offers.